Estonia has recently gained publicity because of its policies aimed at attracting entrepreneurs. 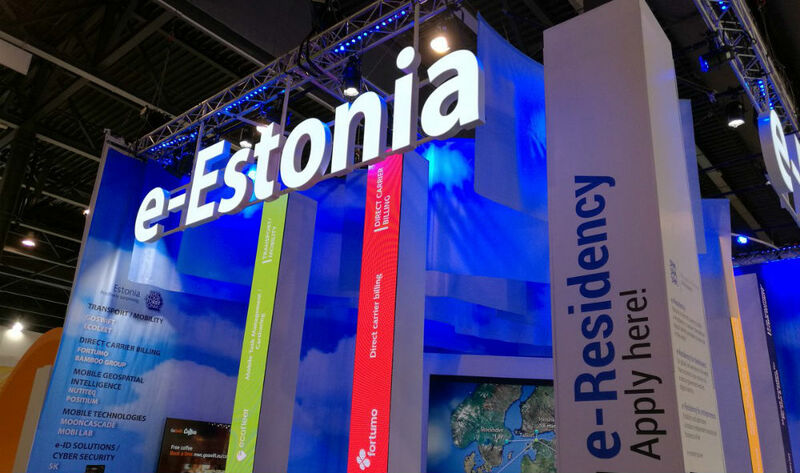 In addition to its favorable tax scheme, Estonia is notable for its smart use of technology to simplify and streamline business setup and administration. For digital nomads, entrepreneurs, and people running non-location specific businesses, there are a number of reasons registering your company and doing your banking in Estonia makes sense. The application is submitted completely online. In addition to asking for your personal information, they will ask what your motivation for registering for e-Residency is. In line with my experience and other e-residents experiences, it is sufficient to say you wish to obtain e-Residency in order to incorporate a business in Estonia and open a euro-denominated bank account. It is important to note that being an e-Residency does not entitle you to citizenship or actual physical residency in Estonia. The card does allow you to open a business in Estonia and open a bank account. The card can also be used as a digital signature where valid in the EU, to conduct business and send encrypted emails to other e-residents. Within about three weeks of completing my application, my card was conveniently ready for pickup at the Estonian embassy in my city. Your card will come in a nice little package like this and comes with a nifty little card reader that plugs into the USB port of your laptop. The Estonian e-Residency digital identity card. 2) Sign up with a virtual office service provider to obtain a legal Estonian address to register your business. There are a number of options for service providers. I am registered with e-business.ee. They have favorable rates and they are extremely responsive and helpful when I contact them on Skype. The entire process of registering with them took less than ten minutes. 3) Registering your business online is shockingly fast and easy. In fact, in 2009 Estonia received a Guinness World Record for “fastest time to register a new legal entity” – just 18 minutes. Within three days, I had confirmation that my business was successfully registered. 4) Opening a bank account was the only painful part in this otherwise smooth online process. Unfortunately, due to anti-money laundering laws, bank accounts must be opened in person. This means a flight to Tallinn, which is usually neither cheap nor direct. I arranged to fly into Tallinn in the evening and fly out the next afternoon. I was nervous about getting turned away or declined at the bank, so I arranged appointments at all three banks in Estonia that accept the e-Residency card for opening an account: LHV, Swedbank, and SEB. Tallinn, Estonia’s historic town center may date back to the 13th century, but the country’s business and banking sector is anything but old-fashioned. My first appointment was at Swedbank. Having worked at a financial firm before, I am familiar how much paperwork and time can be involved with opening an account. However, I could not have been more impressed by the ease and speed with which they were able to open an account for me. In less than an hour, requiring nothing more than my passport, e-Residency card, and business registration number, my account was open and I could access my bank account online. They required no initial deposit from me. With my business out of the way, I had time to spend an enjoyable afternoon in Tallinn’s lovely historic city center before catching my flight home. When my debit card was issued a week later, the bank agreed to mail it to my virtual office provider, who then mailed it to me. You should confirm with your bank and virtual office provider that they will do this so you can avoid the hassle of returning to Tallinn a week later to pick it up. The entire process, from submitting my application for e-Residency to opening my account, took about three months. Beyond the tax advantages of incorporating in Estonia, the main thing digital nomads, entrepreneurs, and other young, tech-savvy people will appreciate about Estonia is how the country has embraced the use of technology to simplify and streamline both company setup and administration. Soheila Yalpani is the founder of Thinkstr.co and the Principal of Oppfinn Consulting. As a project manager and consultant, her interests lie at the intersection of innovation and societal impact. On Thinkstr.co, she writes about business, technology, travel and smart cities.